After Home Except Inc. won the inaugural American Association of Retired Persons (AARP) Innovation Champion award in June for its sensor-based, camera-free home security solution, we figured they deserved a closer look. The Halifax-based startup manufactures a camera-free sensor that automatically monitors temperature fluctuations – whether generated by heaters, stoves, open windows, or people entering – inside whatever room it’s in. The devices also allow family members to monitor loved ones by producing data that is immediately transferred to Home Except’s cloud platform and interpreted, near-instantaneously, by its artificial intelligence (AI) platform into insights, which are automatically delivered to users through the web, email, and instant messaging – hence the AARP win. 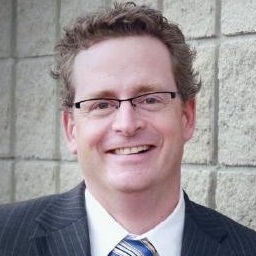 Co-founder and CEO John Robertson’s background in consumer electronics – he left printer manufacturer Brother Canada in 2014 after 10 years in sales – helped him develop a user-first approach to entering Canada’s tech sector, and he began his career as an entrepreneur by advising other startups through his company inspiredEggs Ventures Inc. before deciding to found one of his own. 10 years of working in sales helped Home Except co-founder and CEO John Robertson develop a user-first approach to entering Canada’s tech sector. “While doing some consulting work for a company out of Toronto, I booked a meeting with the Centre for Disease Control in Atlanta… and afterwards I ended up talking to the senior official responsible for senior care in the United States and he told me about the incoming ‘silver tsunami,'” Robertson explains. After learning that the number of Americans 65 years of age or older is expected to more than double from approximately 46 million in 2016 to more 98 million by 2060, he began to brainstorm possible tech-based solutions for it. “I started researching the market and asking some questions, interviewing family members that had been caring for loved ones, and it became clear to me that the market was looking for a monitoring solution,” he continues. Before hitting on the idea that would become Home Except’s Smart Sensors for EXCEPTional Peace of Mind platform, Robertson decided that any monitoring device he designed would need to include at least three characteristics: it had to be non-intrusive, could not rely on Wi-Fi, and could not incorporate a camera. While conducting research, Robertson also discovered that many seniors don’t have Wi-Fi, or don’t live in areas serviced by high-speed Internet to begin with. And so he decided that his solution would be cellular. Robertson’s background is in sales, not design, so while he managed to find five angel investors who supported his concept, he enlisted high school friend and electrical engineer-turned-Home Except CTO Matt d’Entremont to build the actual product. d’Entremont, he says, went through approximately 20 prototype sensors, some of them incorporating single-board computers such as Raspberry Pi and Arduino, before trying the thermal route instead. After contractors Allendale Electronics finished building the first prototype in January, Robertson and d’Entremont set to work designing and securing distribution for the more commercial version that caught AARP’s attention – and hired their first four employees to help them with the project in April. As for customers, so far Home Except has found the most luck collaborating with homecare companies, who buy the sensors and deploy them for clients alongside other caregiving services, some of which make use of the data collected. The nature of these partnerships has been slightly different from what he originally anticipated, Robertson acknowledges. The company is also working with the telecommunications partners who form the backbone of its Internet of Things (IoT) infrastructure to resell the solution through their IoT marketplaces, particularly within the property rental space. And while Robertson admits he never considered entering the property management market, the most important lesson he’s learned from his experience with Home Except is the value of being open to pivots whenever an opportunity presents itself.